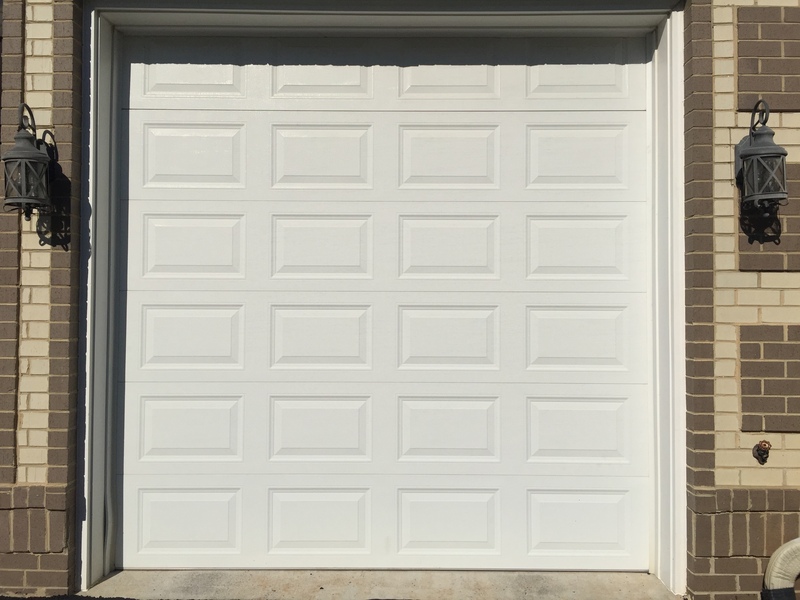 I am certainly no garage door expert, but I did learn a thing or two when we needed to have garage professionals come to our home for a repairs service call. As with anything that has a motor, I learned we should be oiling our garage doors parts to keep them in optimal working order, and cut down on the noise level when opening and closing. I have to admit, we have NEVER oiled any garage door EVER! But the noise here was really getting to me. Here is a video clip of our garage door before I oiled them, take a listen. Turn your volume all the way up to get maximum effect of the scratchy, squeaky sound. Pretty bad eh? Sounds like it is really struggling. Our garage experts recommend lithium based lubricant (HERE). I ordered a can from Amazon and put it to the test. I was told to oil all the joints, there are several down the middle. And in between the components of the openers. It is not recommended to oil the track. I also oiled the springs, all the way across the top of the door. Also oiled the rods that opens the door. Notice the white substance? That’s the oil grease. Make sure to oil both sides of the track. I went back over and oiled the areas a few times, as the door was still making a scratchy sound. After a few days of the door opening and closing regularly, the scratchy sound disappeared. Take a listen. Big improvement! Do you hear the difference? I’m a believer. From now on, we will oil our garage door components on a regular basis. Like the tip? Please share the post.